Can Maharashtra backward panel report pacify angry Maratha or is it start of a long battle? The Maharashtra State Backward Class Commission submitted its report Thursday on the social and economic backwardness of the Maratha community, who have been demanding reservations in government jobs and education. Soon after, chief minister Devendra Fadnavis asked Marathas to prepare for celebrations on 1 December, indicating that his government will implement their long-pending demand. ThePrint asks: Can Maharashtra backward panel report pacify angry Maratha or is it the start of a long battle? The Maratha community has been demanding reservation at par with the OBCs since the Mandal Commission report was implemented. The community did not want to drift away from the larger ‘Bahujan samaj’. 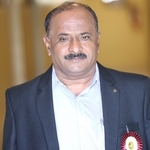 In our submission to the State Backward Class Commission, we included a list of several organisations for different castes that are covered under other reservation categories but carry the pre-fix ‘Maratha Kshatriya’ to emphasise that Marathas along with these castes belonged to the same larger ‘Bahujan samaj’. The Maratha community has been politically at the forefront, so we never demanded political reservation, but we have been demanding reservation in education and government jobs. Under the previous government, the Narayan Rane Commission recommended a 16 per cent reservation after surveying 4.5 lakh families, but it was challenged in court because it had not come from the OBC Commission. It was around this time that the State Backward Class Commission was set up. Now, the commission’s report is here. As per the evidence that we have submitted, we are confident that the commission will have declared the Maratha community to be socially and economically backward. But when it comes to the implementation of the report, the commission most probably will not have specified if the Maratha community should get reservation, to what extent it should get reservation, whether it should be part of the existing reservation for the OBCs and so on. This was not part of the scope of work given to the State Backward Class Commission. Their job was to only determine the social and economic backwardness of the Marathas. The chief minister sounds positive about introducing a Maratha quota by 1 December, but we cannot get carried away by such a statement. We need to be cautious, and wait and watch to see how the government gives shape to the Maratha quota. The report of the State Backward Class Commission is a secret document running into several thousand pages. It was presented to the chief secretary Thursday morning. The chief minister was not even in town and must have not even gone through the report. So, how can he make a statement saying that the Maratha community should prepare for celebration? We recently decided to have sit-ins in Mumbai from 16 November to gather public support for our demands and go to Vidhan Bhavan while the state legislature is in session on 26 November and insist on a decision on the same day. Our community has been fighting for 20-25 years for reservation. Successive CMs such as Sushilkumar Shinde, Vilasrao Deshmukh, Ashok Chavan and now Devendra Fadnavis made promises to us about implementing a Maratha quota. We just want them to implement a quota that will stand in court and not be challenged. This can happen only if the state government includes us in OBCs. Moreover, even if the reservation is implemented, it does not solve all our issues with the government. We had a total of 20 demands and the government accepted several. But the implementation has been extremely poor and the Maratha community has got little relief. For example, there is a loan scheme for the economically backward in place, but when our unemployed youth go to banks for a loan, they are asked for a mortgage. Most don’t have anything to mortgage and are denied loans. Similarly, the government promised to build one hostel per district for Maratha students, but until now only five of the state’s districts have these hostels. Unlike hostels for students from the Scheduled Castes and Scheduled Tribes, these hostels don’t even serve food. There are a number of such issues where the community is not at all satisfied with the government’s implementation. Getting reservations in government jobs and education has been a long-pending demand of the Maratha community. It is for the first time that any government has taken it seriously and completed the constitutional obligations needed to pave the way for reservations. In the past, when the Congress-Nationalist Congress Party (NCP) government sensed it was losing favour and was inching close to defeat in 2014, it hurriedly issued an ordinance to implement a reservation for Marathas. But, it was not well thought through and was challenged in the Bombay High Court. The court kept the implementation of the Maratha quota on hold. Not a single hearing took place after the BJP-led government took over. But this government went beyond politicking and did what was necessary for the benefit of society. We tried to resolve all the legal hurdles in way of the Maratha quota and that too within a swift time-frame. The BJP does not want to look at this issue from a political angle. We should look at this as a long-pending demand of a section of the society to get justice that is now being fulfilled. The previous government, unfortunately, only looked at this from a political angle and that is a major reason why its decision did not stand court scrutiny. It is because of CM Devendra Fadnavis’ efforts that we have reached this stage. If he has promised a deadline of 1 December, he must have done so after taking into consideration all factors required to implement the Maratha quota. We hope that all political parties support us in this cause when the issue is discussed in the state legislature. We are not aware of what the report contains, but irrespective of it, the government must act as per what it has promised to the Maratha community. There has been an unfortunate delay of four years in implementing a Maratha quota. If the government thought that the report of the State Backward Class Commission will be important, why did it not constitute the commission in 2015 itself? There were delays in filing government affidavits in the court too. The dillydallying was deliberate. This government was never in favour of giving reservations to anyone. After all, it comes from the RSS stream of thought. The BJP-led government’s intention was always unclear and even doubtful. 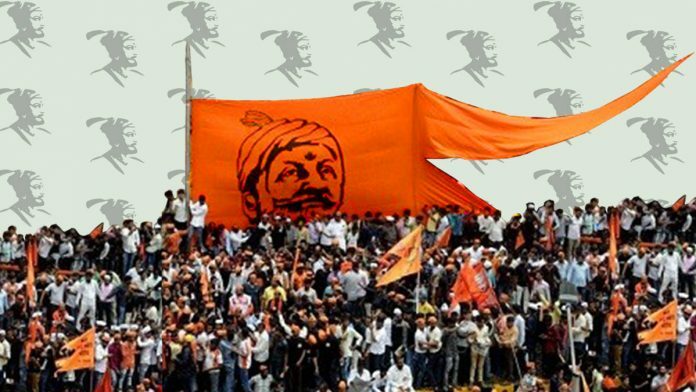 The Maratha community compelled the government to act by taking to the streets in such large numbers. Over the last four years, all groups, whether it is debt-ridden farmers or milk farmers or Marathas, have had to protest on the streets to get their demands sanctioned because people do not believe in this government. Now, the Fadnavis government is trying to take political advantage of the situation. Certain portions of the report were deliberately linked to some media outlets so that the government can start beating the drum of having given reservations to the Marathas and politically milk the situation. Now, if the government thinks that the report of the backward class commission is sufficient it should complete the rest of the procedure as promised by 1 December, ensure that the benefits reach the common man and that the reservation stands in court. If this actually happens, we will also celebrate. The Maratha community, which mostly belongs to the Marathwada and Western Maharashtra regions, is highly stratified with a clear hierarchy. There are elites, who are power centres within themselves such as the politicians, sugar barons, directors on boards of cooperatives, etc. Then there are the wealthy farmers with large landholdings and rich cash crops. Below them is the class of small to mid-sized farmers who are deeply impacted by the vagaries of nature, and then there are the very poor farmers and the landless labourers. It is the Marathas from the bottom two categories who are struggling and their condition has worsened with bouts of drought and agrarian crises over the last few years. The protests for Maratha reservations had the backing and support of the first two categories, but ran largely on the despair of the bottom two categories for whom the mere announcement of a quota does not make much of a difference. 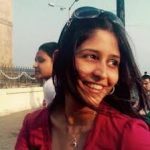 Their despair, especially economic, is so deep-rooted that it will take the government more than the introduction of reservations to pacify them. The implementation of existing schemes for farmers and the youth from the Marathwada region will need to be strengthened for the poorest members of the Maratha community to even be able to avail quotas in government jobs and higher education. Moreover, there is much distrust within the community towards any political system. 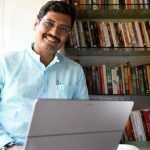 With ten of Maharashtra’s 18 CMs having been Marathas and the community has always comprised about 30 to 40 per cent of the state’s elected representatives, some Marathas also harbour a sentiment of being let down by the elites of their own group. 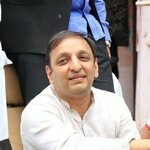 In this context, before they begin to celebrate, the Marathas will want to first see how the Fadnavis government plans to implement the quota, the extent to which the community is likely to get reservations and whether its fruits will really reach the bottom two stratifications of the group. Previous articleIs cancelling TM Krishna’s music concert right of organisers or sign of Hindu intolerance? Next articleShould Netflix relaunch an overly vain Poo played by Kareena Kapoor?